The Steed will be sold through 40 dealers in the UK. 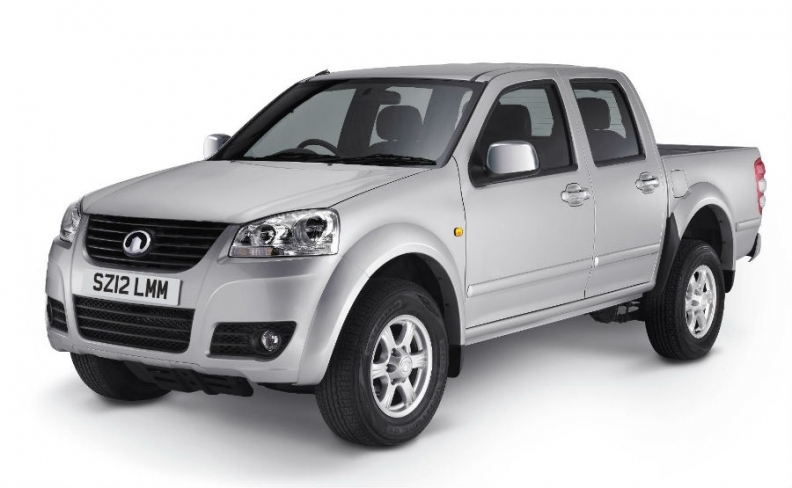 China's Great Wall Motor will attempt to establish itself in the UK market next month with the launch of its Steed double-cab pickup. The Steed will go on sale following its unveiling at the Commercial Vehicle Show in Birmingham, England, on April 24. The pickup will be sold through a network of 40 dealers in the UK and will cost 13,998 pounds (16,747 euros), compared with 16,049 pounds for the entry version of the market leader, the Mitsubishi L200 double-cab pickup. The Steed is equipped with a 2.0-liter diesel engine mated to a six-speed transmission and can operate in either two-wheel- or four-wheel-drive mode, Great Wall said in a statement. Further details will be disclosed next month, the company added. Great Wall already exports cars, SUVs and pickups to more than 120 countries, including South Africa and Australia. Since 2006, the automaker has been importing vehicles into Italy and in February began production in a new Bulgarian factory that will have an annual capacity of 50,000 units by 2013. Great Wall joins fellow Chinese automaker Geely Automobile in seeking to establish a foothold in the UK. Geely's Emgrand EC7 compact will go on sale in the UK by the end of the year. Prices will start at 10,000 pounds (about 11,800 euros). Previous attempts by Chinese automakers such as Brilliance and Landwind establish themselves in Europe failed when their vehicles received poor ratings in safety tests. Geely's Emgrand EC7 recently earned four out of five stars in a crash test by safety organization EuroNCAP. Great Wall said none of its vehicles, including the Steed, have been tested yet by the safety body. Shanghai-based SAIC's MG Motor launched its first China-developed MG car, the MG6 compact, in the UK last year. The MG6 is assembled in Longbridge, England.